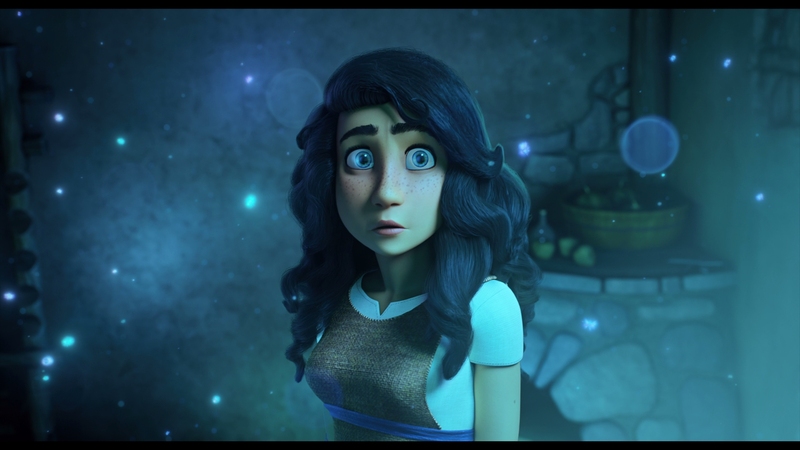 A star-studded cast lends their voices to this winning family movie from Sony Pictures Animation, made for children of all ages about the Nativity. The new wrinkle in this cleanly animated CG telling of the birth of Jesus involves talking animals. 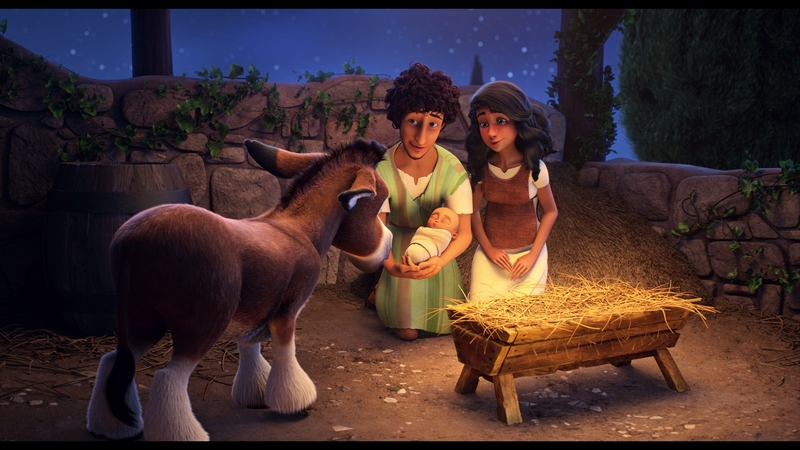 Maintaining a respectful but humorous tone, The Star uses its artistic license to weave the story of Bo the donkey and his animal friends into the lives of Mary, Joseph and the birth of Jesus. The sweet Christmas movie carefully honors the Nativity as recounted in the Gospels, while adding some laughs and adventure for its intended younger audience. The Star may not make a big splash in the secular market but it’s sure to find a welcome audience in Christian households around the country. It may be a bit hokey for older viewers but children will eat up its cute animal characters as they travel towards Bethlehem. 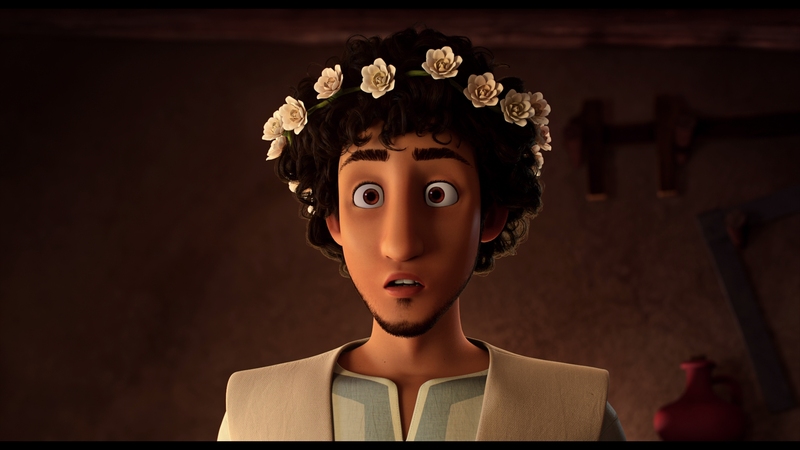 The animated comedy follows a small donkey named Bo (voiced by Steven Yeun, The Walking Dead), who yearns to join up with the royal caravan going through Nazareth. 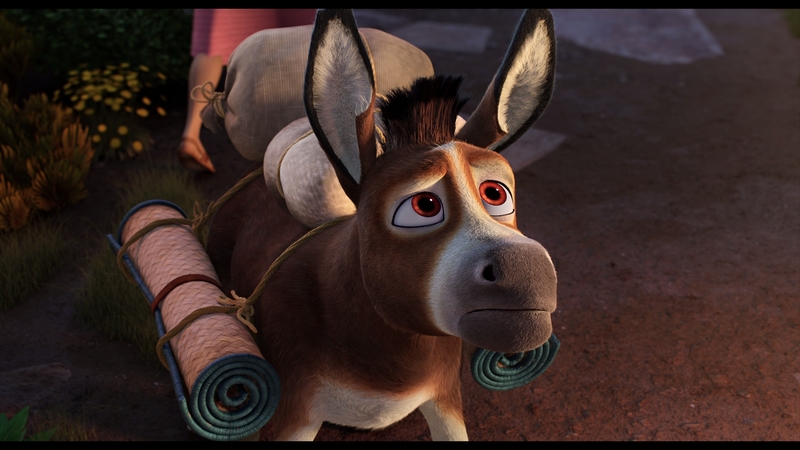 Bo the donkey accidentally stumbles into the home of Joseph and a pregnant Mary, beginning an adventure that will jump in and out of the familiar Nativity story as the animal will encounter friends and foes along the way. 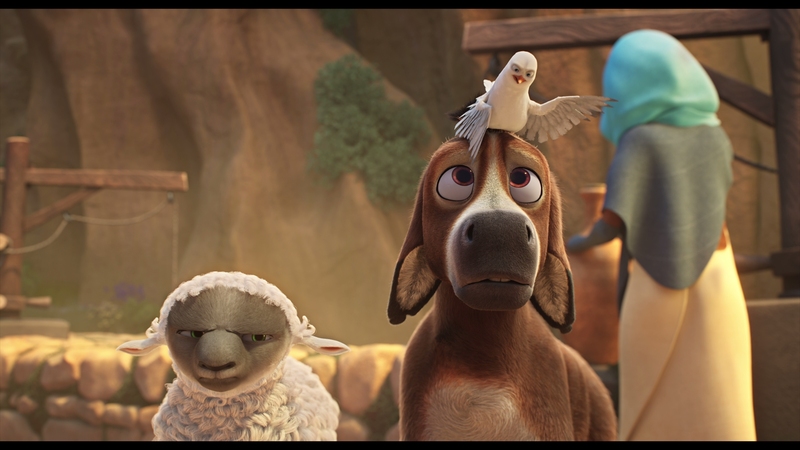 On Bo’s journey, he teams up with Ruth (voiced by Aidy Bryant, Saturday Night Live), a lovable sheep who has wandered away from her flock and Dave (voiced by Keegan-Michael Key), a dove that likes singing and dancing. Along the way three wisecracking camels voiced by Tracy Morgan (30 Rock), Tyler Perry, and Oprah Winfrey carry the Three Wise Men to meet the coming newborn king. Bo and his animal friends follow the star of Bethlehem, becoming accidental heroes in the greatest story ever told as they fend off dogs sent by King Herod. Director Timothy Reckart keeps a reverential tone when it comes to key characters and biblical events, starting off with The Annunciation, when the angel Gabriel announces to Mary she will conceive a child despite being a virgin and that she should name him Jesus. The Star is made for Christian audiences and tries to remain as faithful as possible to the Bible’s account of the Nativity. The kid-friendly additions of talking animals are smoothly inserted into the solemn narrative. 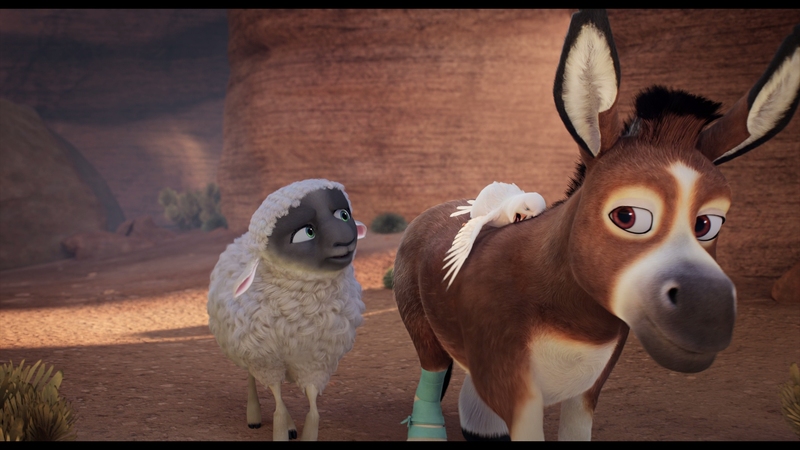 When Bo the donkey and his animal friends are doing their own thing in the movie, there is more levity and comedy. Aside from the moral and spiritual lessons the animals learn, these additions to the Nativity act like most talking animals in animated Hollywood movies behave these days. They are each given their own personality and a playful amount of pratfalls and slapstick are included for our amusement. 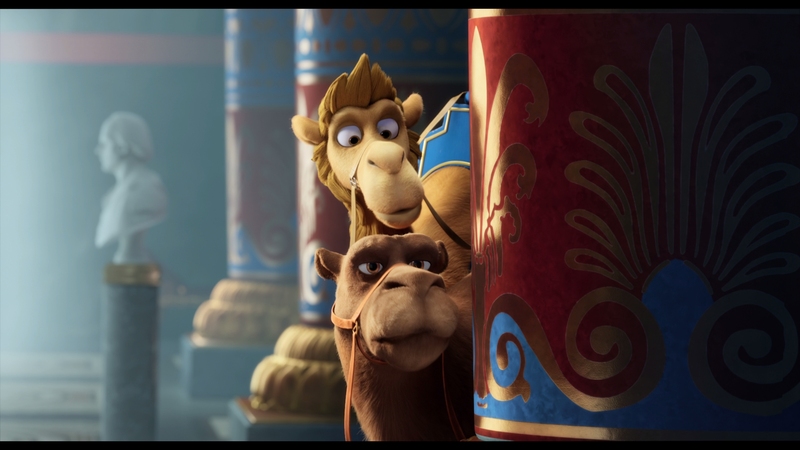 The wisecracking camels probably steal the show with a few choice quips that probably work better for adults than the intended child audience. Movies explicitly made for Christians tends to lack a major Hollywood pedigree but The Star is a real exception. The voice cast is littered with recognizable actors and actresses, including Oprah. This is a strong script for an animated movie aimed at children, framing the Nativity around the funny adventures of talking barnyard animals. The script had apparently floated around Hollywood for years, touching production studios like Walden Media and The Jim Henson Company, shepherded by DeVon Franklin. The music includes a new single by Mariah Carey and soulful pop renditions of familiar Christmas carols, perfect for this kind of material. Children will unequivocally enjoy The Star with its amusing animal characters and strong biblical message. 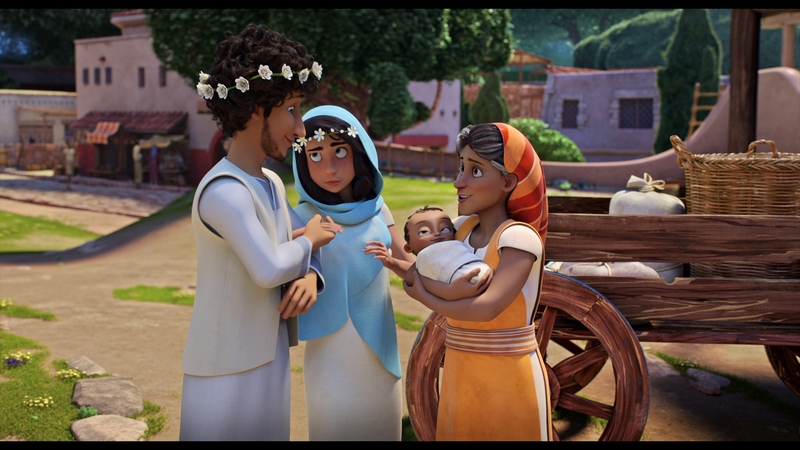 The animated family movie is a fine way to introduce the story of the Nativity to your children. The breezy storytelling hits all the right notes without getting boring or preachy. 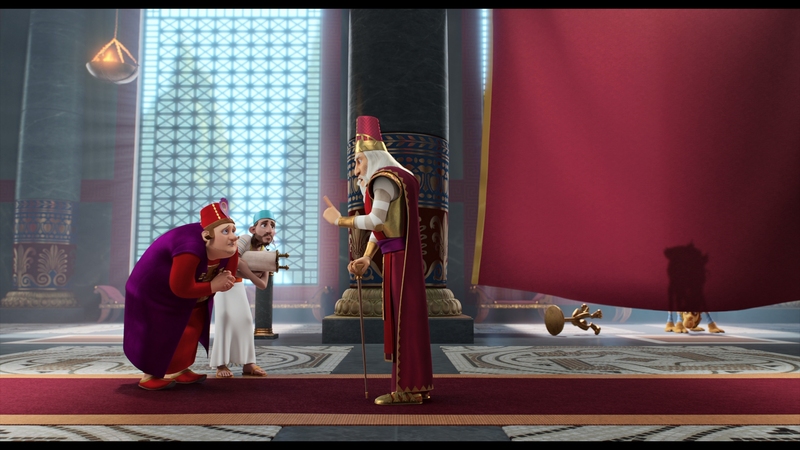 It keeps the biblical narrative intact while balancing the demands of an animated movie made for entertainment purposes. Exploding with light and color in spectacular definition, The Star looks great. 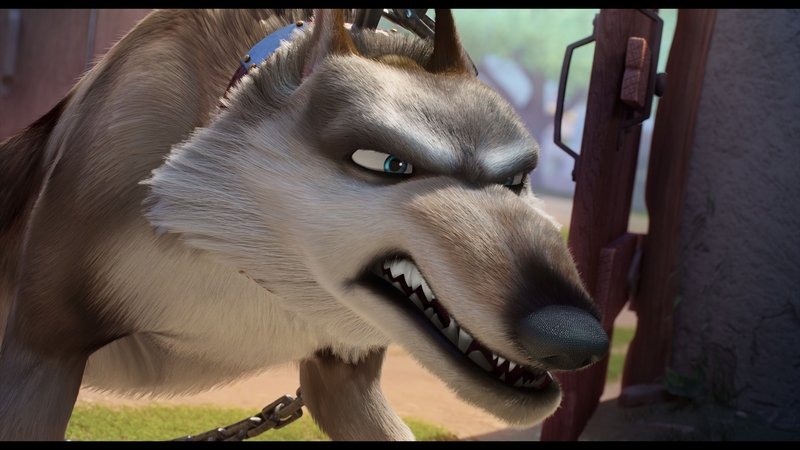 The CGI animation focuses most of its intricate detail and texture on the animals. The 1.85:1 presentation may not dazzle with its technical wizardry like the latest and greatest from Pixar, Sony Pictures Animation and Cinesite Animation Studios have done excellent work in bringing this splendid-looking tale to life. The human characters tend to have simpler, less sophisticated computer designs. Released by Sony, the 86-minute main feature is encoded in flawless AVC on a BD-50. The digital transfer from the 2K master retains an incredible amount of vivid clarity in 1080P resolution. This is animation on par with most Hollywood family releases. The 5.1 DTS-HD MA soundtrack offers a consistent and engaging surround experience in pristine fidelity. There is a good balance between dialogue and the sweeping score. Occasional songs, most notably a new one from Mariah Carey, make The Star fit right in at Christmas. 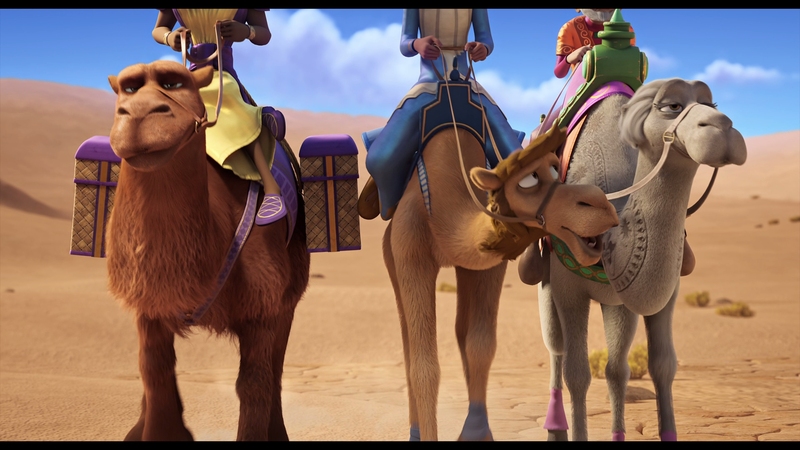 The sound design is lively, taking advantage of the animals’ misadventures as they travel to Bethlehem. Optional English, English SDH, Spanish, and French subtitles play in a white font. Dubs include 5.1 DTS-HD MA French (Canada), 5.1 Dolby Digital Spanish, and an English Audio Descriptive track. Sony does a good job offering special features for both children and adults in this Blu-ray edition. It comes with a DVD and a Movies Anywhere digital copy, redeemable in HDX. Sony has left UltraViolet behind for Movies Anywhere, if you are into digital movies. A slipcover is available. The Blu-ray is coded for all regions. Star-aoke: Sing-Along with Bo & Friends (04:47 in HD) – In this all new song, sing along with your favorite characters including Bo, Dave, Ruth and the camels. Made for children to enjoy, lyrics play on screen for karaoke purposes. “Life Is Good” Dance-Along (03:03 in HD) – Another featurette made for children, shake your tail feathers and move your hooves in this dance along. Lyric Sing-Along Videos (17:33 in HD) – Enjoy the music of The Star with these colorful lyric videos that allow you to sing along. Arts And Crafts (03:35 in HD) – Made for children, this featurette demonstrates how to create star-themed cookies and simple Christmas ornaments made out of craft materials. Faith All Year Round with DeVon Franklin (09:52 in HD) – A sermon aimed at children discussing the themes of the film and how to keep the spirit of this inspiring story alive all year. This is a video you would play for children after they see the film. An All-Star Cast (13:02 in HD) – Meet the stars of the film and explore the primary voice cast from the perspective of the director. This featurette is definitely for adults. Creating The World of 9 Months B.C. 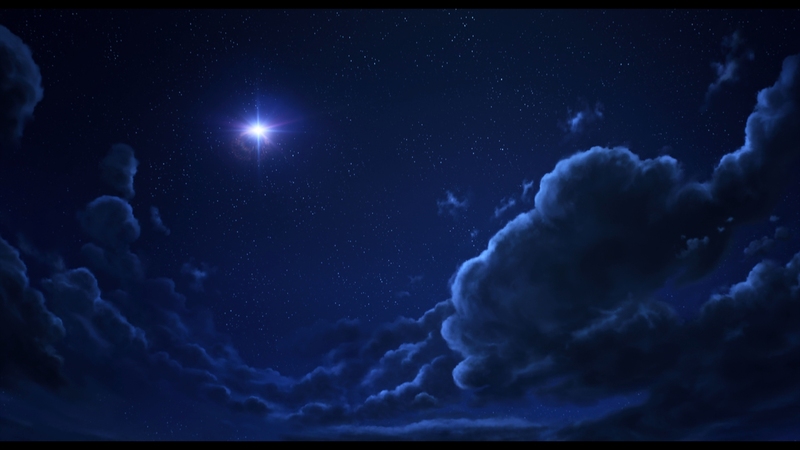 (02:10 in HD) – The director explains how he wanted Nazareth and Bethlehem depicted in the time of Jesus. Director Commentary – Director Timothy Reckart and executive producer DeVon Franklin discuss the creative decisions that went into making the movie, among other topics. This is a thoughtful, engaging discussion that gives us a real glimpse into how the movie was made. 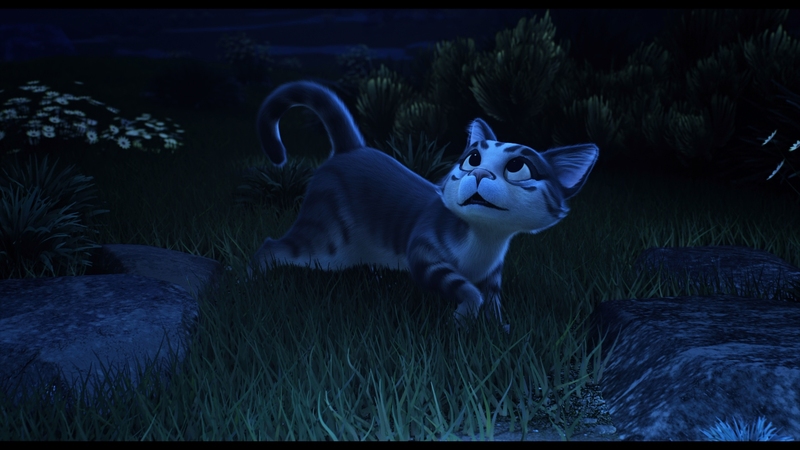 Reckart came from a stop-motion animation background, having never directed a CGI film before. Previews (All in HD) – Sony loads this disc up with seven different trailers, most notably Peter Rabbit and Jumanji: Welcome To The Jungle. 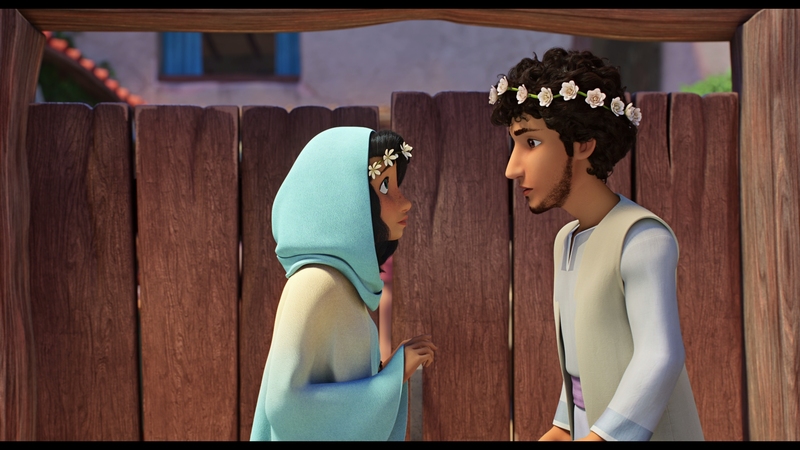 A cute, funny animated movie about the Nativity made for children and family audiences. The unaltered images below are taken directly from the Blu-ray. For The Star’s uncompressed screenshots, early access to all screens (plus the 10,000+ already in our library), exclusive UHD reviews, and more, support us on Patreon.